My dream is to have a Japanese style home where everything I see "sparks joy". I am a fan of KonMari, which is essentially not minimalist living but close to that. The KonMari aims to have a home or space where you are surrounded only by things you love. I think this is the essence of K&K Personal Store. K&K was created last September 2015 by Kat De Guzman, who wholeheartedly believes in loving and celebrating life and the people we live it with by letting this show in the things that surround us. “For me, a gift is something more than a purchase. It is something that celebrates life and the relationships between people. K&K came about after realizing that there is a need for unique and special gifts for all occasions. Unique in a sense that each family would have a different interpretation or appreciation of their personalized gift,” Kat explains. Even K&K’s logo, two K’s against each other, is a reflection of closeness—the closeness that Kat has with her sister, Kamille. 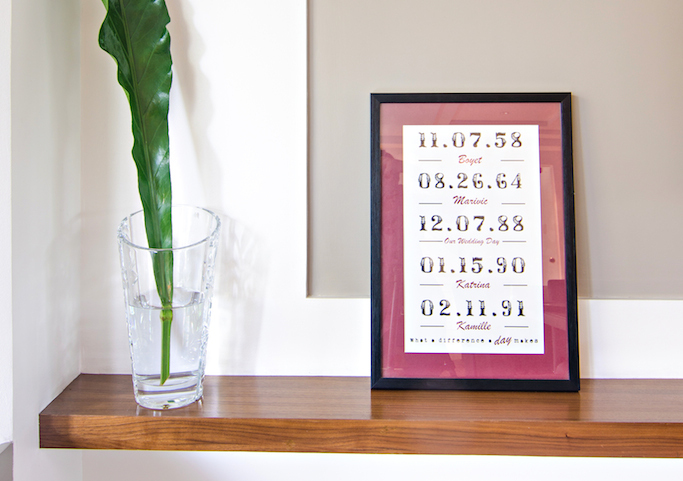 Clients can choose from 3 letter colors upon availability (black, white, or red), and frame color. Lead time is around 1-1.5 weeks. 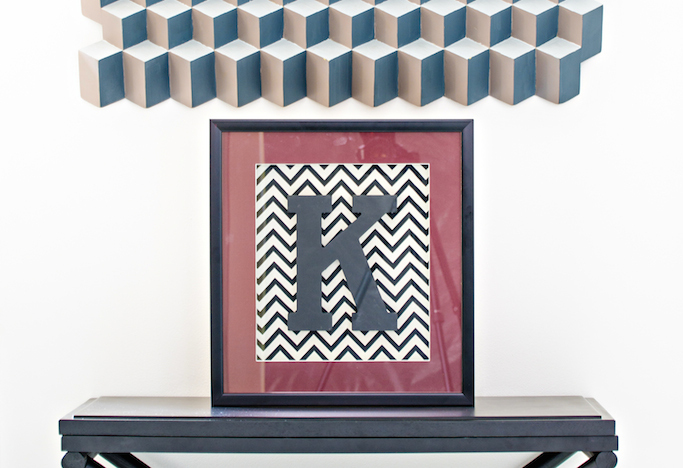 Clients can choose from 3 letter colors upon availability (black, blue, or red), kind of frame, and if glass will be used. Lead time is around 1-2 weeks. 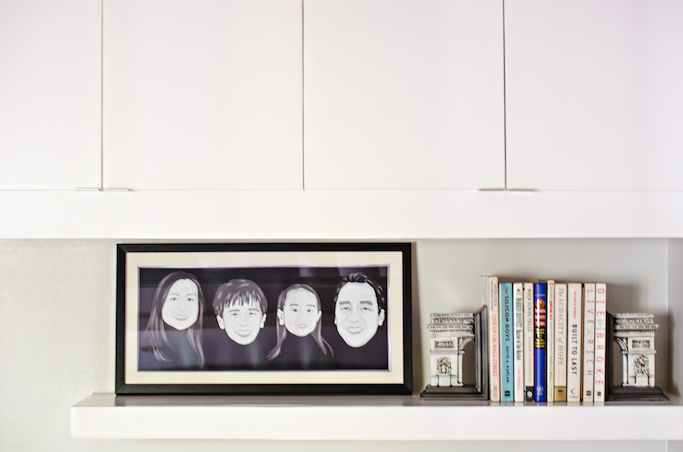 Send a high-resolution photo of your loved ones, and K&K will cartoonized them. Upon approval, client can choose type of frame. Lead time is 1-2 weeks. 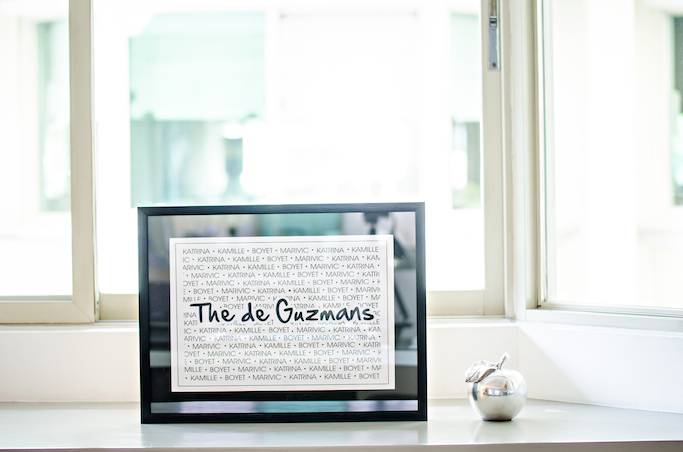 Stationery frames printed on 13" x 19" material with a framed size of 22" x 16". Lead time is 1-1.5 weeks. 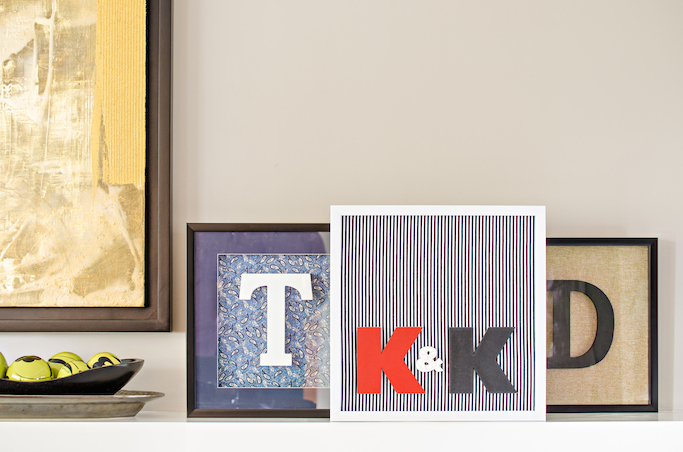 K&K products are of high quality, and something that I am proud of owning. Will definitely be a mainstay in my room decor. Check them out online by following K&K Personal Store on FACEBOOK and Instagram @knkpersonalstore.